Our trick or treating cat is totally cool! 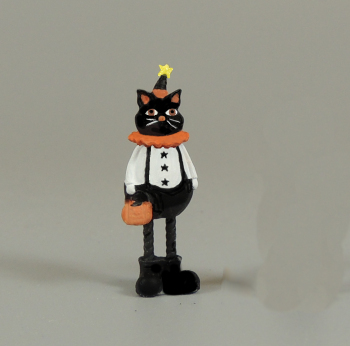 He is delightful alone or when placed beside the coordination pumpkin head boy 2 items back. Availabe in two sizes, 1 1/4" and1". AUse pulldown above to choose size.